Here you can find the answers to commonly-asked questions about Touch Screens, Touch Screen Technologies and Touch Screen Applications. If you cannot find the answers in this section, please contact us. 1. How do I enable multi-touch in the Windows OS? Multi-touch is now built into the Windows 7 OS as standard, so it is very easy to configure. However, this is supported only in the Home Premium, Professional, and Ultimate editions of Windows 7. It is also supported in Windows Embedded Standard 7 but with WS7P SKU Compliance only. WS7C and WS7E SKU compliances do not support multi-touch. You must have a multi-touch capable touch screen, for example the 3M C3266PW, which you plug into a USB port of the PC. Windows 7 will then detect the new hardware and automatically install its own drivers. It is not even necessary to install the manufacturer´s own drivers. To see if the multi-touch hardware drivers have been successfully installed go to the Windows Control Panel and select "Hardware and Sound". You should then see a new menu, called "Pen and Touch". This allows you to customise various touch screen settings. You should then be able to open an application like Paint and draw on the screen using two or more fingers, depending on the number of touch points supported by your hardware. If multi-touch is not working try plugging the device into a different USB port until you see Windows correctly installing the drivers. Also ensure your copy of Windows 7 has loaded the latest updates from Microsoft. 2. 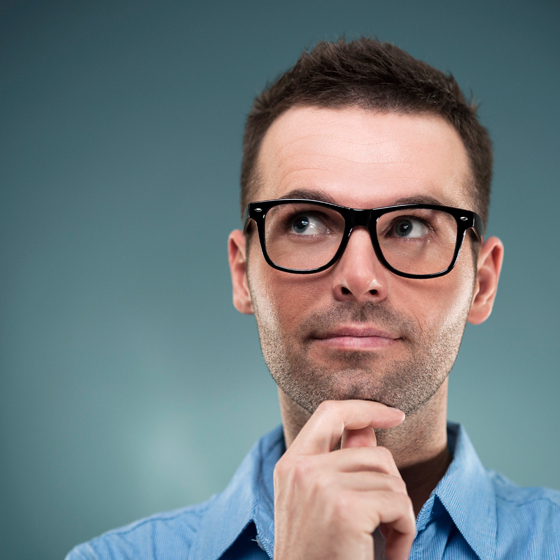 What is the difference between LED and LCD monitors? There is no difference in the display technology - both use TFT LCD panels - but the "LED monitor" uses a white LED backlight to illuminate the TFT LCD panel, while traditional LCD monitors use cold cathode fluorescent lamps (CCFL). The advantages of LED backlighting include higher brightness and dynamic contrast, lower power consumption, longer backlight lifetime and a slimmer monitor housing. Further reference can be found at LED Backlit LCD Television. 3. What is the difference between LED and OLED? LED backlit monitors should not be confused with OLED which stands for Organic Light Emitting Diode and is a totally new ultra-thin screen technology using organic compounds that do not require any backlight - the compounds emit light when a current is passed through them. It is anticipated that OLED will be the screen technology of the future, but at the moment there is limited commercial availability due to technical issues, including display size and lifetime, that have yet to be overcome. Further reference can be found at OLED Technology. 4. How is a touch screen monitor different from my own computer monitor? The monitor casing has been opened and a touch sensor - a thin sheet of glass or plastic (see Touch Screen Components) - has been fitted over the LCD screen. This is connected to a touchscreen controller, which is a small processor within the monitor that calculates the position of your finger and then sends a signal via a cable to the serial or USB port of the PC. Apart from this additional cable at the rear, the touch screen monitor looks the same as any other computer display. 5. Will these touch screens connect to any PC? Yes, the touchscreen connects to any PC with a standard VGA video port and a serial (RS-232) or USB port. Some later model touch screens also support Digital Video Input (DVI) in addition to VGA. 6. Do I require any additional equipment to make a touch screen work with my computer? No. All touch screens are ready to plug and play straight from the box. Each touch screen is supplied with a VGA or DVI video cable, serial or USB cable, power supply unit, AC power cable, driver CD and full installation instructions. 7. Does the touch screen require special software to enable it to work on my PC? Yes. Included with each touch screen is a driver CD that supports Microsoft Windows 2000, XP and Windows7. If you are using an older Windows operating system, or Linux, you may download the drivers from 3M Drivers Portal. If you are using any other operating system, such as MacIntosh or Silicon Graphics, 3rd party drivers are available from http://www.touch-base.com. 8. What does the driver software do? It ensures the PC finds and recognizes the touch screen, in the same way as any other input device such as a mouse or keyboard. It also allows you to calibrate the touch screen and perform basic diagnostics. In addition, the user can customise functions such as right-click enable and fine tune settings for clicking and dragging. 9. What happens whenever Microsoft brings out a new operating system? The latest Windows touch screen drivers from all manufacturers are available in Support. All Microsoft operating systems are supported right back to MS-DOS. 10. How do I "calibrate" the touch screen? After loading the software driver the touch screen control panel will automatically detect which port the touchscreen is connected to. It will then show a screen with a target in each corner, each of which you will be required to touch in turn to tell the driver the extent of the screen. The software saves these settings and quits. That´s it! 11. How often do I have to calibrate the touch screen? Only once! Unless you change the output resolution from the PC to the monitor, (e.g. from 1024 x 768 to 800 x 600), after the first calibration of the touch screen the settings are locked. The cursor can drift over time and may need re-calibrating, but this is over years, not months. 12. When reading about touch screens why do I see the term "mouse emulation"? Because, as when using a mouse, with the touch screen you can click and drag to move a window, or double-click on an icon to open an application. All these settings are user definable through the touch screen control panel. Because there is no right button, an additional icon can be shown on the screen that is used to toggle this function. 13. Will my mouse and keyboard continue to work when the touch screen is connected? Yes. The mouse, keyboard and track-pad will all work as normal and there is no conflict of drivers. The only restriction to the number of input devices you can connect is the number of USB or serial ports on the PC. 14. What happens if I click the mouse button and touch the touch screen at the same time? Only the first signal registered by the PC will be processed. The PC cannot accept two input signals at the same time as there would be a conflict, in the same way as pressing two keys simultaneously on a keyboard sends the two key-strokes one after the other, not together. 15. Can I use the touch screen for hand-writing recognition or for capturing signatures? Yes. There are two ways of doing this. One is to employ a touch screen with a Resistive sensor (see About Touch Screens) and use a blunt stylus, as found with PDAs, to write on the screen. However, there is usually some "lag" in that the signature on the screen will appear slower than the writing speed. If hand-writing input is a primary function of the touch screen, a better solution is to use a hard-wired touch pen (see TouchPen). Alternatively, the large format touch panels use an optical technology that also supports input from a stylus. (see Touch Tables). 16. Will the touch screen work if I´m wearing gloves? This depends on the technology used. For instance, Resistive technology works with a gloved hand while Capacitive won´t. To choose the best technology for your purposes look at About Touch SCreens. 17. What is the difference between Capacitive, Resistive, SAW and all the other touch technologies and which one is best for my application? Please refer to the comparison guide in About Touch Screens. If you are still not sure then Contact Us and we will make a recommendation based on your requirements. 18. Will I be able to use all my existing applications on my computer with the touch screen? Yes. There is no conflict between the touch screen drivers and your applications. However, these applications are designed to be use with a cursor, which is much smaller than a human finger. You may find it difficult to click on smaller icons such as the window close button. 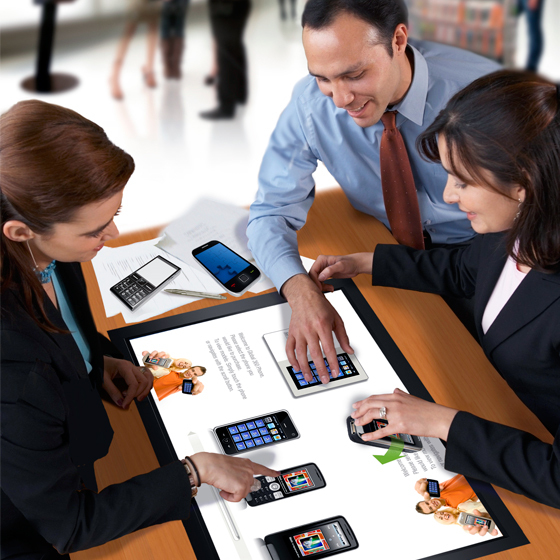 Consequently a touch screen interface is often written for point-of-information applications using bigger buttons. 19. How do I enter text and numerals on a touch screen if the keyboard is not connected? There are on-screen keyboards available that the user can call up using 3rd party software should they need to enter text. One system we recommend is available from Comfort Software. Alternatively you may opt for a wall-hung or floor-standing kiosk with integrated English/Arabic keyboard (see Touch Screen Kiosks). 20. Can I connect more than one touch screen to my PC? Yes. The driver supports multiple touch screens, but you will require a separate VGA (video) card and USB or serial port for each touchscreen. 21. Can I convert my existing computer monitor into a touch screen? It depends on the monitor model. Some manufacturers, for example NEC, design some of their LCD monitors with the space to retro-fit a touch sensor and controller. In other monitors there is not enough space to install the touch sensor. If you contact us with the manufacturer and model no. of the display you wish to convert, we can advise if it can have a touch sensor integrated and, if so, the correct part no. of the sensor. However, we recommend the installation is done by an experienced electrical engineer who is familiar with screen technology. Also, because you need to open the monitor casing you may void your display´s warranty. To read further about the procedure look at the Overlay Touch Screens. 22. Do you supply the touch screen programmes for my point-of-information application? No. You will need to write the programme yourself, usually using an authoring programme, or employ a multimedia production company to write it for you. When designing the programme you will need to consider ease of navigation and the use of large buttons, spaced apart and not too close to the edge of the screen. There are on-line guides available for designing and authoring multimedia programmes. 23. 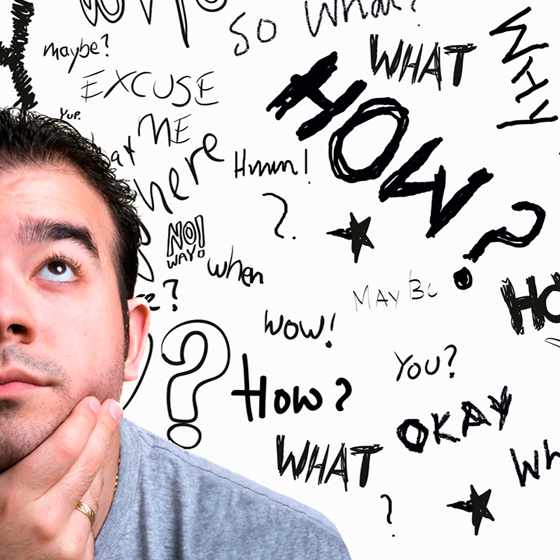 Can I use my existing website as a point-of-information programme? Yes, and this is commonly used by companies for their intranets. However, remember that you may need to create larger buttons to aid navigation and, if possible, you will want to avoid scroll-bars, dragging and double-clicking. 24. I have a 42" plasma screen. Can I turn it into a touch screen? Yes. We supply a touch-system that clips on to large LCD and plasma flat panels up to 82". 25. Can I mount these touch screens on a wall? Yes, the Desktop LCD Touch screens have standard VESA mounting points on the rear and when their stand is removed can be fitted to any industry standard monitor wall-bracket or arm. The Touch Screen PCs (see Touch Screen Monitors) have wall mount brackets included. 26. 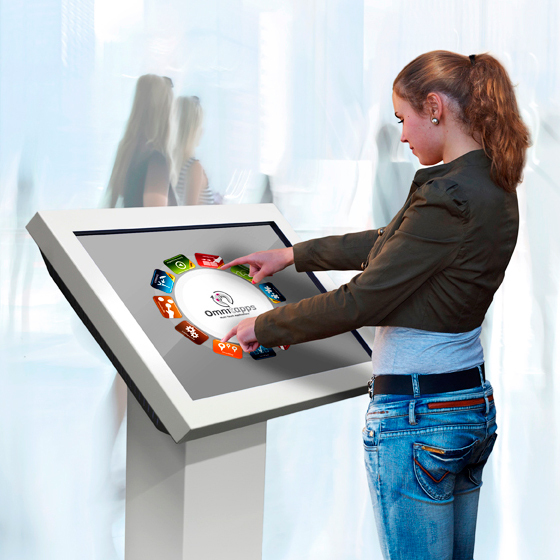 How do I mount a touch screen in a kiosk, a display stand or an item of furniture? You require a Chassis Touch Screen, which is designed to be easily integrated within any housing. Refer to Touch Screen Monitors for full details. 27. Will these touch screens work in sunlight? No. For outdoor use you will require a daylight viewable LCD display with integrated touch screen. We custom-build these to your specific requirement. For further details please Touch Screen Components. 28. I need a touch screen for an industrial environment. Is there a water-proof touch screen available? Yes. We can supply an IP66 rated display. Please refer to Touch Screen Components. 29. I need to install a touch screen in an unattended public area and I´m worried about potential vandalism. Is there a solution? Yes. Depending on the environment you can use a touch screen monitor fitted with either a ToughTouch or NFI sensor. Refer to Touch Screen Components. 30. My organisation favours a particular brand of monitor, can you supply it as a touch screen? Yes, although this depends on the manufacturer and the monitor model. Some manufacturers design their displays with enough space inside so a touch sensor and controller can be fitted later. However some monitors are too slim and cannot be converted. 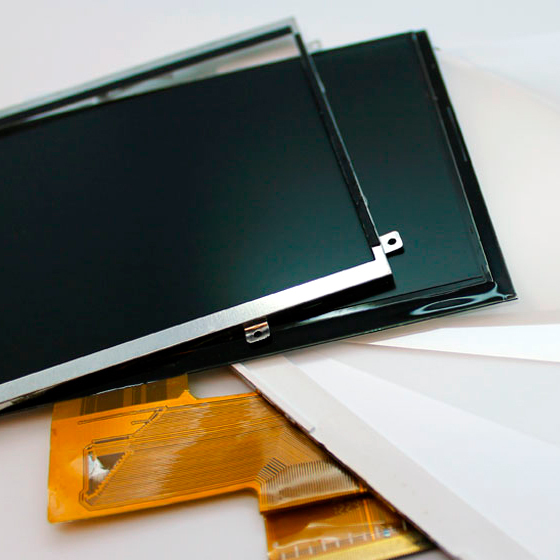 We also impose a minimum order quantity for custom built touch screens. For further details please Contact Us. Alternatively, you may consider integrating touch equipment in your own monitors (see Overlay Touch Screens). 31. All this technology is from Europe, the US and the Far East. I live in the Middle East. What support do I have locally? Touchscreen-ME is based in Dubai, United Arab Emirates. We have 10 years experience supplying and supporting touch screen technology throughout the Middle East. We are the manufacturer´s authorized agent for all products we carry and offer full after-sales support locally. In the rare event of equipment malfunction the item is returned to Dubai for repair or replacement. Details are available on Support. 32. What is the warranty and what are the terms? The warranty is between 1 year and 5 years, depending on the manufacturer. All products for repair under warranty has to be returned to base (RTB) to our Dubai, UAE service centre. Terms are available on Support. 33. I don´t have room on my site for a separate PC. Is there a touch screen with an integrated computer available? Yes. Please refer to Touch Screen Monitors. 34. What is a kiosk? A kiosk is a self-contained unit that may be wall mounted or floor standing that contains the touch screen, the PC and other peripherals in a secure metal housing with lockable doors. A kiosk is usually employed in a public area where it can be left unattended and used by the general public. In addition the kiosk can securely house other peripherals such as printers, credit card readers, barcode readers and currency acceptors. 35. What does VESA stand for? VESA is an abbreviation for Video Electronics Standards Association, a group founded to establish standards for video displays. When we refer to VESA mounting points these are the four M4 size holes in the rear of a display, used to attach it to a wall bracket or desk arm. The industry standard for smaller monitors is that the mounting holes are at either 100 mm x 100 mm or 75 mm x 75 mm centres. For larger displays, for example 32", there are 16 mounting holes, 600 mm x 200 mm at 100 mm centres. 36. What is the OSD? The OSD is the On Screen Display which allows the user to change contrast, brightness and other settings, usually accessed from the Menu button on the monitor. 37. What is a bezel? The bezel is the frame around the front of a display. For Touch Screen Monitors there is a choice of bezels depending on how and where the display is going to be mounted. 38. What is a touch sensor? The touch sensor is a sheet of glass or plastic that is designed to respond to touch, either through pressure or using light, static or acoustic sensors (for more information on the different touch technologies available, please refer to the comparison guide in About Touch Screens). The information, i.e. the position of the finger, is passed to the touch controller, which is connected to the host PC. 39. What is a touch controller? The touch controller converts the electronic signal sent from the touch sensor and sends this information, as an X/Y position, to the host PC through a serial or USB port. 40. How do I track my package? Shop TSME confirms all orders via e-mail. You will receive an e-mail with your tracking number when your order ships. Shop TSME confirms all orders via e-mail. Please check to make sure that you received a confirmation e-mail. Once the order has been confirmed, it may take up to 6 to 10 business days for your order to reach you. 42. Where do you ship? Shop TSME ships to UAE, Bahrain, Kuwait, Oman, Qatar, Saudi Arabia, Jordan, Lebanon and Egypt via UPS. 43. How do you handle undeliverable packages? Our carriers may deem a package undeliverable if the address is incorrect. Our carriers may make three attempts to deliver a package. After three attempts, the package will be returned to us. When the carrier returns an undeliverable package to us, we issue a refund equaling the cost of the merchandise. 44. What if my address is incorrect? If the address is incorrect or outdated, the package is typically returned to us by the carrier or the unintended recipient at your expense. Please double-check your address carefully when placing an order. 45. How do I return an item? All returns must be pre-authorized by TSME. Prior to returning a product, please contact Support to obtain a Return Material Authorisation (RMA). Please quote the part number(s), serial number(s), date of purchase and details of the fault. We will fax or email an RMA with detailed shipping instructions to you. 46. My credit card was not accepted by PayPal. What should I do? Confirm that you entered the card number and expiration date correctly. If you are still unable to process the order, call Shop TSME customer support. Multi-touch refers to a touch system´s ability to simultaneously detect and resolve a minimum of 3+ touch points. All 3 or more touches are detected and fully resolved resulting in a dramatically improved touch experience.